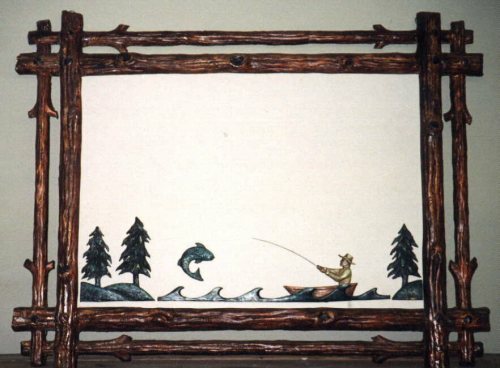 Description: Adirondack mirror frame with fisherman catching a fish. Hand painted resin, no glass. Resin &steel.